In 2013, thousands of Egyptians protested in the streets of Cairo in an effort to overthrow the country’s first democratically elected president only 1 year after he took office. Some of my acquaintances participated in those protests, chanting “we do not want democracy.” Several observers tried to analyze and understand this strange phenomenon of declining democracy after many Egyptians had waited so many years for it. However, using an autoethnographic method, I argue that any analysis of this phenomenon that does not include curriculum and education is inadequate. 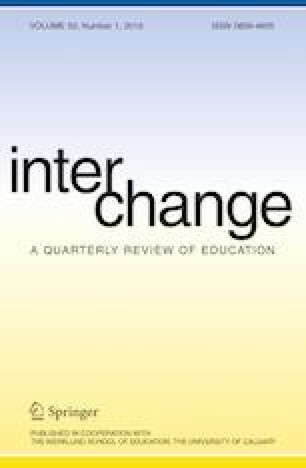 This autoethnographic essay argues that Egypt’s curriculum and its schooling system are fundamental factors that contributed to this phenomenon. Fundamentally, this paper discusses the theoretical and practical relationship between curriculum and democracy from an autoethnographic perspective by assessing the nature of this relationship both in democratic societies and in Egypt. Furthermore, an overview of the Egyptian educational system is provided to answer the basic question of this paper: why would some people reject democracy? Amnesty International (2014). Egypt’s security forces are getting away with murder: Amnesty International oral statement to the 25th session of the un human rights council. (Index number: MDE 12/017/2014). Retrieved from https://www.amnesty.org/en/documents/mde12/017/2014/en/. Amnesty International (2016). Egypt’s security forces are getting away with murder: Amnesty International oral statement to the 25th session of the un human rights council. Retrieved from https://www.amnesty.org/en/latest/news/2016/07/egypt-hundreds-disappeared-and-tortured-amid-wave-of-brutal-repression/. Matar, A. (2009). Qasidat al-huria [Freedom poem]. Retrieved from http://www.mokarabat.com/s6379.htm. Zheng, F. (2014). The implications of existentialist philosophy in the Egyptian and Tunisian revolutions. Retrieved from http://stanfordfreedomproject.com/what-is-freedom-new-essays-fall-2014/the-implications-of-existentialist-philosophy-in-the-egyptian-and-tunisian-revolutions/.